A quiet oasis with charming sidewalks and greenspace, Observatory Park was made for those who enjoy peaceful afternoon strolls with access to a park-like setting right outside their front door. Located southeast of downtown, it’s a quiet, tree-lined neighborhood offering residents an established enclave of single-family residences. It was originally founded in 1886 as a small university town called “University Park.” While University Park is technically its correct name, many people refer to the neighborhood as Observatory Park, after the park which is the centerpiece of the neighborhood. With major thoroughfares on three sides, and two community parks, residents appreciate indoor-outdoor living with a short drive to Cherry Creek North, and neighboring University of Denver. In fact, many homes here were originally built for professors at DU. The area primarily consists of large ranch homes, met by neo-eclectics, Victorians, Denver Squares, Tudors, and Colonials. Median list price is approximately $900,000 with most homes selling over a million. 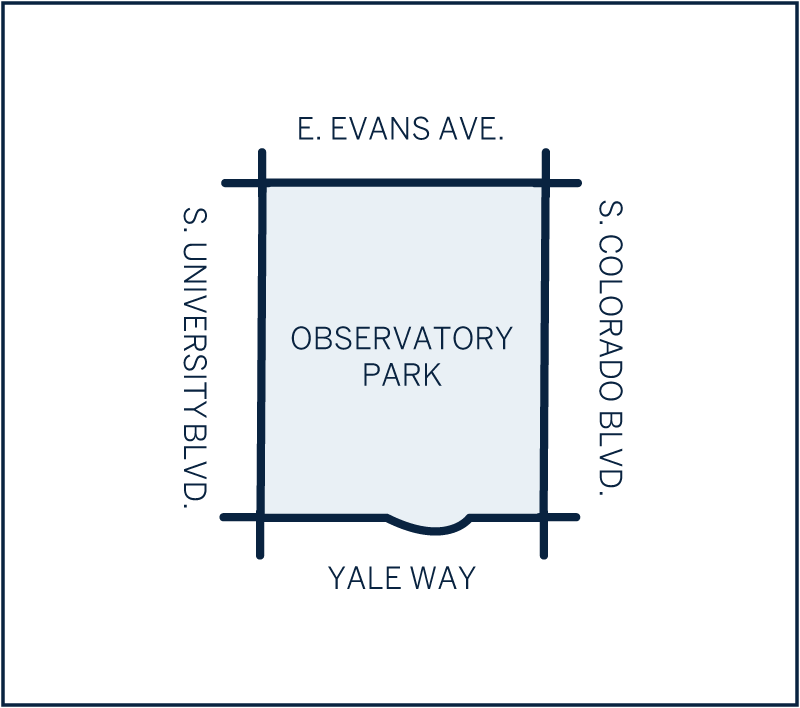 A nearby light rail station and direct access to I-25 means you’ll have no trouble getting around town. Pete’s University Café – a great breakfast spot! Mustard’s Last Stand – Denver’s best hot dogs.